Going to college is an extremely stressful, but exciting time in a young person's life. As school administrators, it is vital that we make their transition as easy as possible. Here's how an interactive school map can help. Going to college nowadays is definitely not what it used to be. Students now have all kinds of options about where to study, what field to go into, and whether they should go to college at all. As such, it's up to the parents of the next generation and the current administrative professionals at universities to lend a helping hand. Students can't figure all of this out on their own, and the more they can count on their higher education support systems, the better. Ultimately, universities have to be a resource and a home for students. They have to provide learning tools, cultural experiences, and personal development opportunities, all while ensuring student success. One thing that can help make students' lives easier is access to an interactive school map. Keep reading to find out how this tool can change student life on your campus for the better. The first-day nerves of high school are nothing in comparison to the ups and downs of a student's first week in college. Most students love college at first. They enjoy the freedom of having a place to call their own and the excitement of meeting all the new people in their residence halls. Then, the first week happens and students find themselves running all over the place. Between finding their classes and getting to each one on time, talking to admissions and financial aid about any last-minute loose ends, and making time to get to the dining hall, there's no better first-week tool than an interactive campus map. When students have this on-hand, they feel more capable of taking on whatever comes their way during add/drop. It all happens pretty fast, and it's nice to have a reliable tool to help get them through. As if the first week of college isn't stressful enough, exam week can often feel even worse. This is especially true when students need to get around because not all of them are prepared for the interesting shift that happens during finals: the change of exam locations. This is a regular practice for professors and administrators, but it's not common knowledge to college students. Many of them show up to the classroom in which lectures were held all semester, only to realize their exam location is across campus. Even the ones that know about this finals week way of doing things aren't always sure where to go. 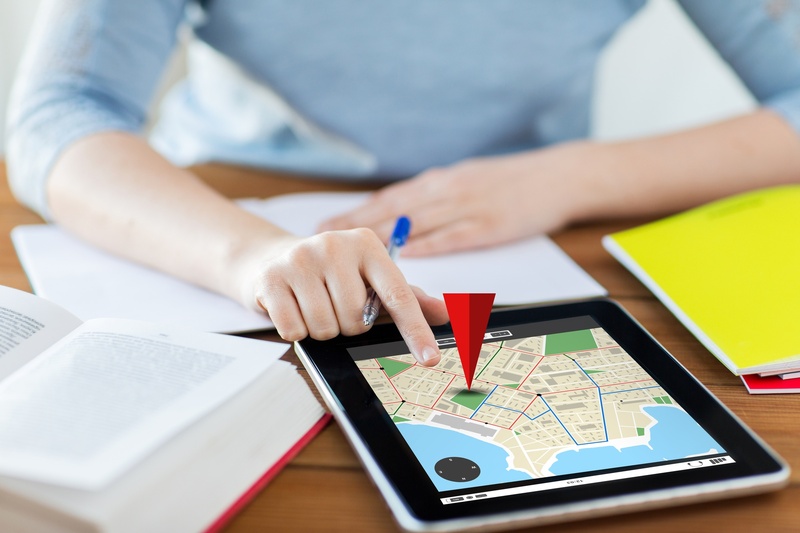 If a student has a school map downloaded on their phone, though, they can get anywhere they need to be stress-free. Sometimes, students just want to explore. They may have a class that ends early one day or a last-minute meeting cancellation that gives them plenty of time to see everything campus has to offer. This is a great opportunity to pull up their interactive campus map and see what is going on. A student may use the map to find their new favorite study spot or a satellite gym they didn't know existed other than the main one. An interactive school map could even lead students to a vending machine/food retailer when they need a last-minute meal before class. Also, keep in mind the map isn't just a navigation device for students; it's an amazing communication tool for the entire university. You can use this platform to place pop-up ads and special messages about day-to-day campus events. This applies to promoting special events, telling students about bookstore sales and food deals, and, most importantly, sending out alert messages during emergency situations. No matter where a student goes on campus, they're bound to be surrounded by many people. Students sit in lecture halls of over 100 seats and wait in food court lines that serve thousands of people a day. But, how often are they connecting with individuals around them? It can be challenging for new students to make friends and start finding their social circles. With the help of an interactive campus map, though, socializing doesn't have to be so hard. Think about the weekly events happening on your campus and the areas where students hang out most. Now, imagine having a way to let them know about the social opportunities available to them. That's what an interactive map can do. The map allows you to remind students that it's Wednesday and there's a market going on, or that they have two weeks until Student Government applications are due. It's a way for you to mention wellness workshops, study groups, and official athletic game days. Sometimes, students think they have everything they need from their campus, without realizing all the additional resources available to them. These are the ones that love to spend time in the library between class or head straight to the student center when they have free time. Wherever a student's go-to place is, it's hard to get them out of their routine. Still, there's benefit in doing something different from time to time. Yet, students can often talk themselves out of doing this because the location is "too far" or they aren't exactly sure where it is. They may be too shy to ask someone for directions, and then, they find themselves back at square one doing the same thing as usual. A campus map can change that. It gives students the extra push they need to step out of their comfort zone and see what student life on campus is really all about. Before they know it, a student is able to go anywhere and everywhere on campus thanks to the help of the map you've made the effort to create for them. In addition to the benefits of a school map for new students mentioned above, there's something to be said about this tool from an alumni standpoint and through the administration's eyes, too. An interactive map brings everyone on campus together, not just students. It helps alumni get around after they've been away for a few years and certain things have changed. It also makes it easy for offices on campus to make connections with the students they're trying to target. To find out more about what an interactive campus map can do for your higher education institution, click here.